Puri Bunga occupy expansive grounds on the off-beach side of the road opposite the Art Market area towards the northern section of central Senggigi. Average rating 7.6 from 339 reviews. Rooms are dated and quite shabby -- and certainly not great value. However, we list it because they do have a lot of rooms, so if you’re arriving in peak season, this is probably a decent bet, even if it isn’t very good. There is a large pool down beside the restaurant and the rooms crawl up the hillside from there. Staff are polite but indifferent, the rooms catch a lot of traffic noise from the busy road immediately below them, and, well, this just isn’t a great deal for the money. It is convenient though to the restaurants and shopping at this end of Senggigi. 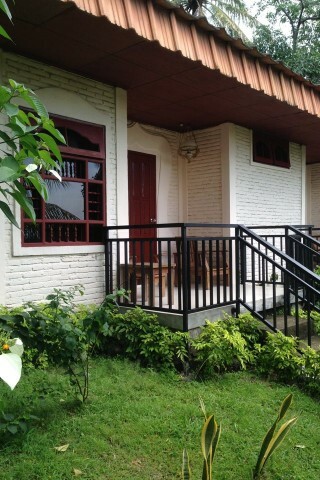 Check rates at Puri Bunga Beach Cottages on Booking.com.